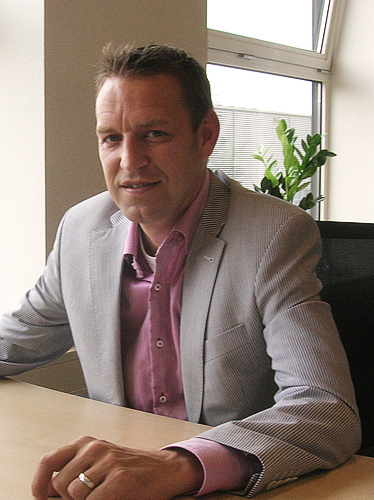 Mr. Konijnenberg, 2 Achieve is a young company with special services for the forwarding industry. What is your strategy? Odaccar Blokker and myself founded the company in 2010. We both benefit from years of experience and a global network in air freight forwarding and logistics. We are true specialists in anything that is not standard. When shipments require special knowledge, handling, equipment, speed, documentation or packaging then 2 Achieve is a perfect fit. We cover the market for airfreight charters, very urgent shipments, on board courier services, road express service and other logistics solutions. 2 Achieve feels very comfortable when complicated logistics matters need to be solved, especially when time is critical. We are a young, dynamic, eager and professional team of experienced and qualified logistics experts acting as a neutral agent only! Our commitment, speed and reliability have been well-accepted by the market. We are growing fast and extending our services. When did you decide to go for Scope? Right from the start we chose Scope. 2 Achieve very much appreciates innovation, short lines and reliable contacts. The transport management system is like the heartbeat of our company, you must have an eye on it. The features of Scope as well as the Riege team were very compelling for us. They exactly know what a forwarder needs and implemented modifications for us within a tight schedule, for instance VAT regulations and special documents for air freight. So we were already fully operational with Scope for air import and air export end of October 2010, in 2011 we added Sagitta export. What are the main benefits of Scope for you? Generally speaking, Scope has been developed from the angle of the users, the operational and administration setup is very convenient, easy to work with, gives you a perfect overview, and has brilliant filters. The system works very efficiently, you can change from one application to another without losing data you have entered, you have just one shipment file for a job where you can find all relevant information, emails etc. You can even add pictures for documentation. Charges for air freight export shipments are automatically taken into the invoice. The system is directly connected with our accounting software and with Dutch customs. We can generate AWBs for any of our customers individually with just a click of a button. 2 Achieve was the first Scope customer in the Netherlands. Are you satisfied with the service? Absolutely, yes. We are very satisfied with the attention we got as a start-up company. In addition to the features of Scope there is another big advantage of Riege: the passion of the people behind the system, in the Dutch office as well as in the support team in Düsseldorf. They really understand your needs and respond quickly. What do forwarders gain by using 2 Achieve? 2 Achieve is able to deliver added value on all levels to the forwarding industry. We are convinced that this added value will only work when you position yourself as a neutral partner/agent. With our experience even in remote areas of the world and our global network of partners and agents, we are fully dedicated to the needs of our clients. We are a remote trouble shooter for our clients if you like. Many Dutch forwarders have already experienced that for their very urgent and special shipments they can rely on 2 Achieve. Speed and reliability are the keywords that make 2 Achieve different from most others. Pro-activity and timely communication are key values put into daily practice. Always inform the customer immediately when changes occur to the original agreement. Our passion “2 Achieve” and exceed expectations is in our genes. What are your next projects at 2 Achieve? In September 2011 we founded 2 Achieve Customs Solutions B.V., as a dedicated service agent and specializing in all customs related activities. In addition to this our Dutch customers benefit from our courier service with our own vehicles, which we established in August 2011. 2 Achieve Customs Solutions and 2 Achieve Couriers are the main projects that will have our highest attention in 2012 for development and positioning in the market.